Did you know that half of trading options traders lose their deposit in the first day? But don’t worry. If you know how to win, you can make a lot of money. But before you open an IQ Option demo account, you should know how to use the trading and forecast tools. You can try out risky bets with your demo account. Or use customization features so the info in your charts stands out. If you’re in South Africa you can start making trades today. The IQ Options Demo account lets you trade traditional stocks as well. This way, you can keep all your trading activity in one place. 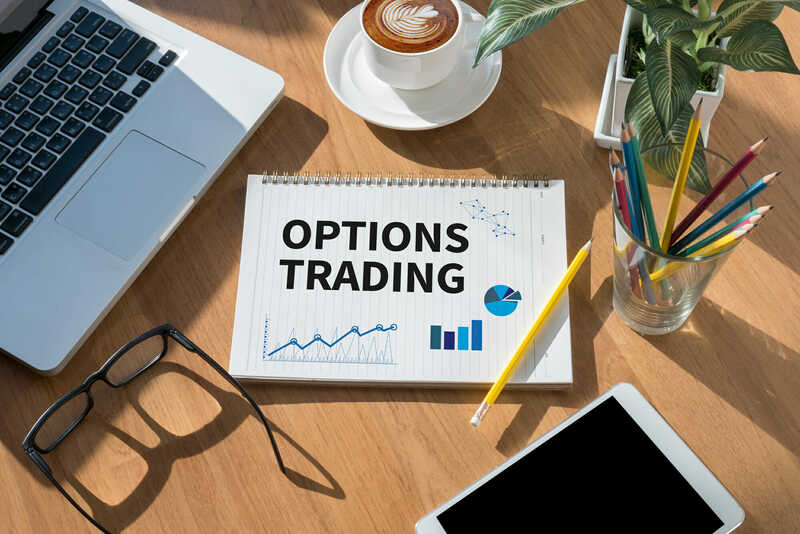 IQ Option also lets you explore forex, options, and cryptocurrencies. Let’s go over what each of these is. These three investments are similar. You can use leverage when buying any of the three. This means you can magnify your winnings and losses with borrowed money. Forex, short for foreign exchange, cashes in on value differences between different currencies. Options give you the opportunity to buy or sell a stock at a certain price. Cryptocurrencies are volatile new currencies that can appreciate in value fast. On the downside, they can lose their value just as fast. Get used to checking the news with your IQ Option demo. You can see fresh news stories while you plan your next trade. The platform summarizes these stories so you get a well-rounded picture of the market. Markers are another tool that you can explore with IQ Options demo. Markers highlight trends for you to make informed predictions. Let’s take a look at some common trends investors follow. Diamond Top Formation: Used to describe a decline in price after a steep climb. Triple Top: Also describes a decline after a surge in price. The difference is that this happens three times in a short period. Many investors will short, or bet on a stock’s decline after the third peek starts to withdraw. Head and Shoulders: Like a triple top, a head and shoulders formation has three peak prices. The difference here is the first and last peaks are less than the middle. There are many more trends to follow, but these three will get you started. Remember that patterns are not definite. Use them to make educated guesses and never invest what you can’t afford to lose. Analysis tools help predict the movement of stock prices. Be sure to understand all the tools with your demo account before risking real money. The first is Bolinger Bands. Bolinger Bands are best for deciding on whether to buy a call or put option. A call is betting the price will go up, and a put is betting it will drop. They excel at this because of their ability to mark off a range of prices to signal whether a call or put is best. When the price goes beyond one of these bands, it is a signal to buy. IQ Option lets you use more than one tool at once. Moving averages used with Bolinger Bands give you more accurate buy and sell signals. You set a time frame as a reference and buy when the price moves past the average. The longer the time frame, the more accurate your moving average line will be. That doesn’t mean short time frames are useless. They find short-term investments but are vulnerable to false alarms. The Relative Strength Index (RSI) is on a separate chart. It uses its own rating system, ranging from 0-100. A score of 70 or higher is a signal to sell, lower scores tell you to buy. IQ option provides one of the most popular indicators, the alligator. You can apply this tool to any set of data over any set of time. Click “indicators” in the drop-down menu and add “alligator” to your analysis tools. The Alligator is a set of three lines. Each line represents an average over a given time. The top line is the “lips”, the middle line is the “teeth”, and the bottom line is the “jaw”. The closer the lines are to each other, the more conservative traders should be. You can add “fractals” from the same menu. The Alligator and Fractals tools are best used together. They confirm each other’s signals. For example, a signal from fractal telling you to buy is only valid if it is below the middle line of the Alligator. You have all your tools set up. What now? It’s time to pick a strategy. Your strategy will determine what trends you follow. It also includes your method of analyzing the market. The two ways of analyzing a stock are technical and fundamental. Technical analysis involves using all the tools we discussed. These tools draw patterns between previous price points. By looking at past price points, you can make predictions about future price levels. Fundamental analysis takes into account news coverage of the market. This lets you make long-term predictions. It can also alert you of an upcoming trend that is out of the scope of technical analysis. The last term you’ll be seeing a lot is momentum. like physics, a stock in motion tends to stay in motion. That can mean both increases and decreases in price. The indicator we use to measure momentum is the Moving Average Convergence/Divergence (MACD). It uses two lines, the MACD and signal line, to show the acceleration of stock price. How fast a stock’s price is changing is important because you don’t want to get in when it’s too late. Even if a stock is on the rise, the MACD line can tell you if it’s too late to make a profit. Now that you know the basics you can start using your demo account to see these tools in action. It’s ok if you feel overwhelmed. That’s why a demo account from IQ Option doesn’t expire. A good IQ Options Broker knows there is a learning curve when it comes to trading options. Try your IQ Option demo account now.